Mongolian President Tsakhiagiin Elbegdorj at the 2015 SCO summit. In the joint statement issued last week during the final day of Mongolian President Tsakhiagiin Elbegdorj’s three-day visit to China, the China-Mongolia relationship is touted as being the “best ever” in history. China-Mongolia relations have indeed grown more intimate in recent years. Just last year China upgraded its relationship with Mongolia from a mere “strategic partnership” to a “comprehensive strategic partnership,” which covers security and political cooperation. It’s no secret that Mongolia is heavily dependent on China. According to 2015 data from Trading Economics, China accounts for 89 percent of Mongolia’s exports and 26 percent of its imports. The slowdown of the Chinese economy in fact affected the Mongolian economy so badly that the government has considered bureaucrat employment and salary cuts and sales of company shares in state-owned sectors like postal service and energy. In the words of founder and director of the research firm Independent Mongolian Metal & Mining Research Dale Choi, “when China sneezes, [Mongolia] gets a cold”. According to University of British Columbia Ph.D. candidate Mendee Jargalsaikhan, anti-Chinese sentiment stems from negative schemas constructed during the era of Sino-Soviet tensions when Mongolia was under the Soviet influence. Despite the warming in official relations, anti-Chinese attitudes continue to circulate in Mongolia’s blogosphere and public discourses, partly because there is still reluctance within official circles to actively dismantle residual anti-Chinese sentiment. Jargalsaikhan argues that the Mongol attitude toward the Chinese is also part of a “global anti-Chinese phenomenon” rooted in power imbalances, backlash against Chinese economic activities, and conflicts over identity issues. It’s not difficult to spot signs of anti-Chinese sentiment even in modern-day Ulaanbaatar. Graffiti calling for the removal of the Chinese sprinkle urban settings, urban legends about poisoned Chinese goods drum up paranoia, and locals, insistent on enforcing social norms that maintain the “purity” of Mongol blood, excoriate Mongol women who become intimate with Chinese men. One rapper, Gee, has become popular in the capital performing songs featuring anti-Chinese slurs and calls to stand up for the Mongolian national identity. Extremist neo-Nazi groups like Tsagaan Khass and Dayar Mongol place their main targets on the Chinese and are still active as of this year. 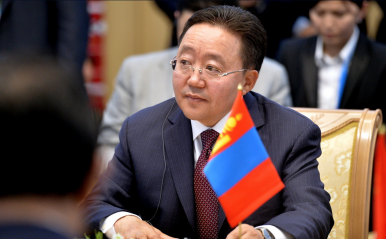 While the prejudice is concentrated largely in older populations and probably not as pronounced in daily life as extremist groups would like, it’s clear that President Elbegdorj’s claim that “China enjoys popular support among the Mongolian people” does not hold up. The Chinese are not oblivious to the Mongol stance. Questions like “How do Mongolians see China?” or “Why do Mongolians hate China?” circulate the Chinese blogosphere, and spark critical reflection of the Chinese exacerbation of the relationship from netizens. But given Mongolia’s relatively much weaker geopolitical pull and historical positioning, anti-Mongol sentiment in China is not nearly as pronounced in the few areas where it exists. As with all relationships mired in historical tensions, it will take time for a high-level warming of relations to filter into the general populace. And there isn’t a lack of hope. Every year hundreds of Mongolians study abroad in China, and with both governments promising increased people-to-people exchange, the younger generation seems better poised to escape the historical traps of their predecessors.